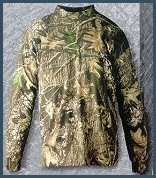 X Scents Mockneck Long Sleeve T-shirt is perfect for those sportsmen, who like their neck covered for added warmth and scent control. This long sleeve T-shirt eliminates the source of odor by preventing bacteria growth, and regulates temperature by conducting body heat away from the body with X STATIC silver fiber technology. 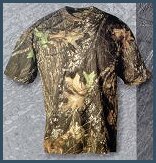 Just about everyone wears a T Shirt and if you do then you will want one that eliminates odor and keeps you cool when you head outdoors. Available in New Break-Up, Sizes M,L,XL,XXL,XXXL. X Scent H1 Hunting Bibs. The XH1 Bib combines the best technology available in scent control and thermodynamic advances for the outdoor hunting industry. Now scent control and cold weather protection are available in one bib making the XH1 the highest performer in the outdoor industry today. Combine the XH1 Bib with the XH1 Jacket for the ultimate cold-weather, scent-control, turn-key solution. 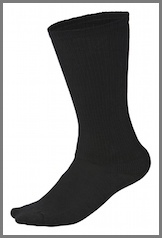 X-System 18" Boot Socks . X-System Socks containing nano-silver technology control the growth of odor-causing bacteria since the nano-silver particles are permanently integrated into the fibers of the fabric. 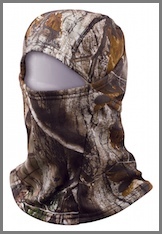 This heavy-duty fleece balaclava will keep you warm and comfortable in cold temperatures. This Fleece Beanie Offers great head protection since it is windproof, water resistant and breathable. 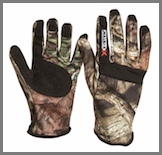 Constructed using our X-System anti-odor technology, these fleece gloves are designed with a reinforced dot grip texture on the fingertips and palms to provide a secure grasp and additional durability. 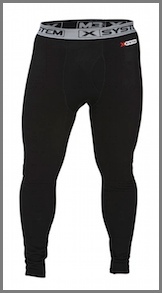 Constructed of 4-way stretch polyester fleece which wicks away moisture and allows for breathability.